Grandkids are just GRAND ! Four of six grandchildren came visiting a few days ago; three grandsons plus the one and only granddaughter, who happens to be the youngest of the grandchildren at ten years of age. Fortunately, the kids brought their parents along so we could have some quality time with the whole family. This could be the last time we will will have everyone together at one time because the oldest boy, at age 20, will soon be leaving to attend a university after completing two years at a community college near home. As you have probably already guessed, that’s me on the far right. Our small car can hold only four in comfort, so I rented a minivan to allow all of us to travel together, and that worked out just fine for the various short trips during the few days they were here. 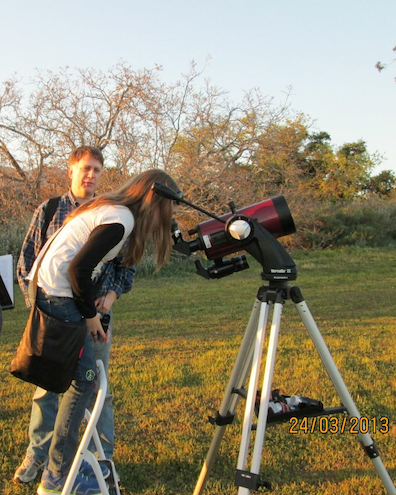 Speaking of short trips, one of the highlights of the visit was a trip to Lake Casitas for a star party the second night they were here. 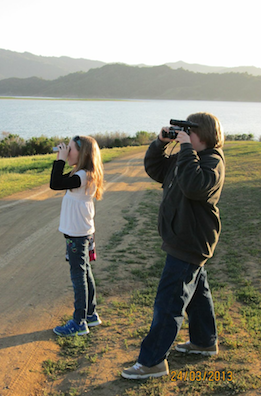 Having arrived about an hour, or so, before sunset, we had plenty of time for everyone to check out the telescope and practice finding things with the spotter scope and binoculars. Scanning the eastern horizon for interesting things. Watching moonrise, and getting a good view of the moon during daylight. An almost full moon created a lot of light pollution, but we had good views of Jupiter and the four largest Jovian moons. Orion was also prominent in the sky, and we had a good look at the Orion nebula. We also visited a couple of nearby beaches in addition to other points if interest around town. 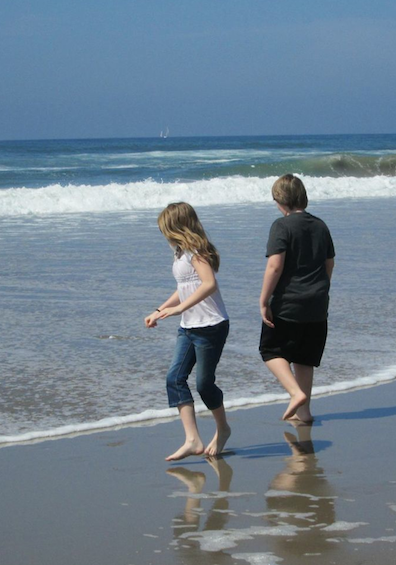 The shoreline was a bit cool for swimming even though the sun was shinning brightly in a cloudless sky, but the two youngest grandkids were immune to the cold and enjoyed dipping their toes into the calm surf. Simply “hanging out” provided opportunities to enjoy each other’s company and get caught-up on the latest happenings. All in all, an enjoyable way to interact with healthy and happy grandkids while spending a few days getting to know them a bit better. 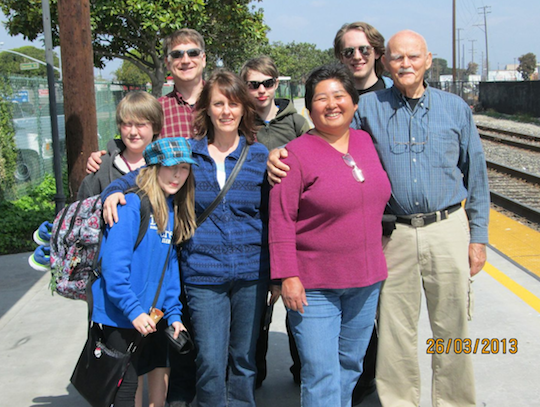 This entry was posted in Miscellaneous Musings and tagged enjoying grandkids, family fun, grandkids. Bookmark the permalink. 3 Responses to Grandkids are just GRAND ! It’s a dream of mine to own a 20′ Meade (Max Mount) LX400-ACF… Oh the joy! Wow ! A twenty inch Mead = Joy, indeed. My little five inch Maksutov-Cassegrain has revealed countless wonders up there in the sky. There are, of course, much better images readily available on the internet, but there is something special about seeing astronomical objects through the eyepiece of your own telescope. I agree; the process is most of the fun. It’s great to see you’ve got your grand kids involved. I forgot where i saw this quote recently, but it went something like: if we spent just a little more time looking up, things down here would be a lot different.